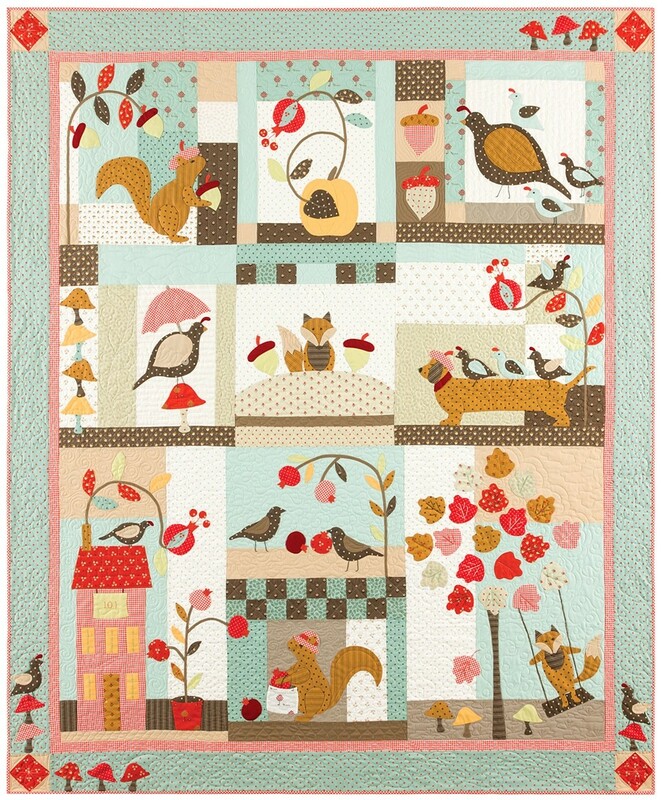 We love this adorable 101 Maple Street quilt by Bunnyhill so much, Mary will be running it as a class on the 3rd Thursday of each month, starting on 18th October (there will be no class in December). The first class will be a tutored class for £25 (plus £5 for block 1), when Mary will go through the various techniques used in making this quilt & all subsequent classes will be £10 plus £5 for each block, where help will be available if needed (each class is payable even if you miss a class). You need to purchase the pattern to attend this class. A Fabric pack is available to purchase, but numbers are limited, so please call & reserve one. There are also a limited number of Quilt Kits which include the fabric, pattern & threads. Spaces are limited so please call us to book a place.